This is an exciting opportunity for an innovative, highly-collaborative leader to work with faculty, students, staff and the broader community to establish programs and opportunities to engage in discussions, research, and educational opportunities around leadership and global citizenry. 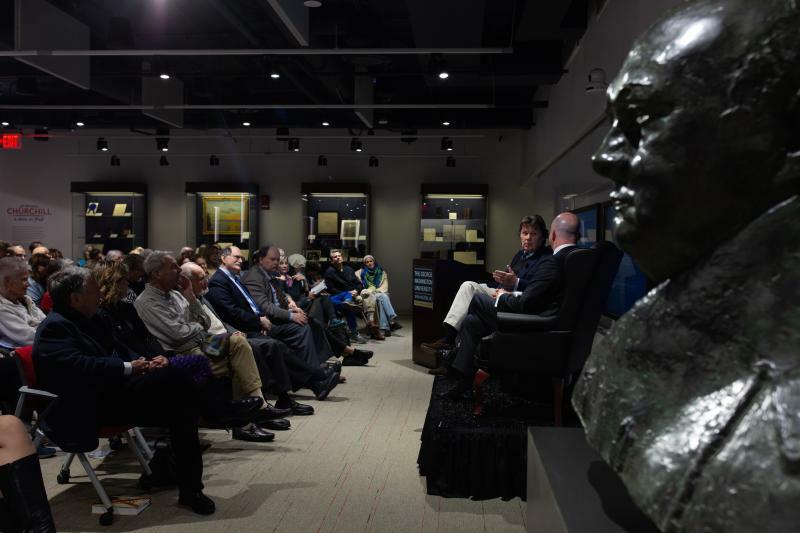 The National Churchill Library and Center (NCLC) is the result of a philanthropic partnership between the George Washington University and The International Churchill Society (ICS), an international organization dedicated to preserving Churchill’s life and legacy. Located within the Estelle and Melvin Gelman Library, GW’s main campus library, the NCLC is ideally situated to develop robust partnerships both inside and outside of the university. The Program Director will support the activities of the NCLC as well as the ICS. Reporting to the Dean of GW Libraries and Academic Innovation (LAI), this individual will develop and execute a plan for activities that foster a deeper understanding of leadership and international issues in today’s world, drawing on statesmanship exemplified by 20th and 21st century leaders, especially Sir Winston Churchill. The successful candidate will work with GW faculty, students, and LAI staff to ensure that the NCLC activities integrate with the academic mission of the university. The Program Director will collaborate with GW faculty and other leaders in Washington, DC to identify speakers to bring to campus to engage with the community through discussions, debates, master classes, and workshops. The Program Director will also be responsible for fundraising to support the NCLC’s growth and continued operations, identifying new funding opportunities and working with donors to enable them to share in the NCLC’s success. The NCLC Program Director will also serve as the Executive Director of the ICS, having primary responsibility for ongoing fundraising and membership development. With fundraising as an essential component of both the NCLC and ICS positions, the successful candidate will show sensitivity to donors for both organizations. This will require working with both LAI’s development team and ICS leadership to properly steward donors to best meet their philanthropic intentions. The position will manage the ongoing activities of the ICS in collaboration with other ICS staff. Collaborating with other educational institutions around the globe that share similar goals. The Program Director will spend no less than 60% of his or her time on these endeavors for the NCLC. The Program Director of the NCLC may, at the discretion of the Dean of LAI, work on activities of the ICS, spending no more than 40% of his or her time on this work. Working with GW faculty, students and LAI staff to ensure that the NCLCactivities integrate with the academic mission of the university. Identifying leaders to bring to campus to engage with the community through discussions, debates, master classes and workshops. Supporting visiting scholars in the NCLC by facilitating their access to resources needed for their scholarship. Collaborating with GW Libraries and Academic Innovation development staff to identify prospects and craft cultivation and solicitation strategies. Drafting funding proposals for individuals and foundations to support initiatives at the NCLC in partnership with the GW Libraries and Academic Innovation development staff. Working closely with GW Libraries and Academic Innovation development staff to write stewardship reports for donors. Representing the NCLC and GW Libraries and Academic Innovation at internal university meetings or at external events, as needed. Raising funding to support ICS programs and interests including the NCLC. Demonstrating sensitivity to donors for both the NCLC and ICS. This will require working with both LAI’s development team and ICS leadership to properly steward donors to best meet their philanthropic intentions. Provide written content for publications as necessary. Assisting in organizing conferences and programs, as needed. Represent the NCLC and ICS at external events, as needed. Qualified candidates will hold a BA/BS in a related discipline plus 7 years of relevant professional experience. Degree must be conferred by the start date of the position. Expertise in international relations, political science, political communication, or public affairs, with knowledge about Sir Winston Churchill highly preferred. Demonstrated record of successful fundraising experience. Record of strong collaboration with colleagues. Experience in supporting a membership organization. A demonstrated understanding of the workings of non-profit organizations and educational institutions. The International Churchill Society is dedicated to preserving and promoting the historic legacy of Sir Winston Churchill. For the benefit of scholars, students, and Churchillians, the Society’s activities, publications, and programs are conducted through the joint resources of the National Churchill Library and Center at The George Washington University in Washington, DC and the National Churchill Museum at Westminster College in Fulton, Missouri.